Ilkley law firm Eatons Solicitors is celebrating then careers of three long-standing members of the team who have contributed a combined service of 94 years. Eatons, which offers legal expertise to commercial and private clients, opened its Ilkley office on Church Street in September 2018 and is now commemorating the achievements of its senior staff. Graeme Brown, managing partner at the firm which has offices across West Yorkshire, is celebrating 35 years of service, 28 of which have been as managing partner. He said: “It’s a huge privilege to have been part of Eatons for more than three decades. I’ve seen the company grow to having more than 60 legal experts working across five offices in Bradford and Leeds. Eatons Solicitors was established in 1887 with an office in Bradford. 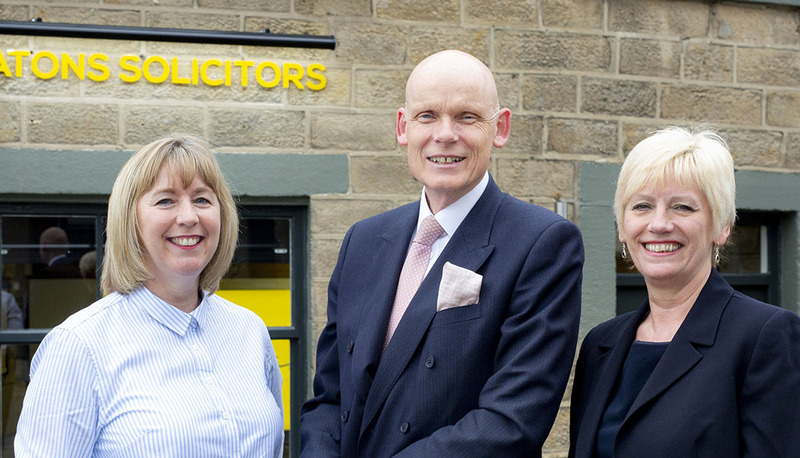 Today it operates from additional offices in Ilkley, Otley, Leeds and Bingley specialising in services from family and matrimonial law to commercial property and employment matters. Finance manager Margaret Knowles has also been praised for her 25 years’ service within the company.